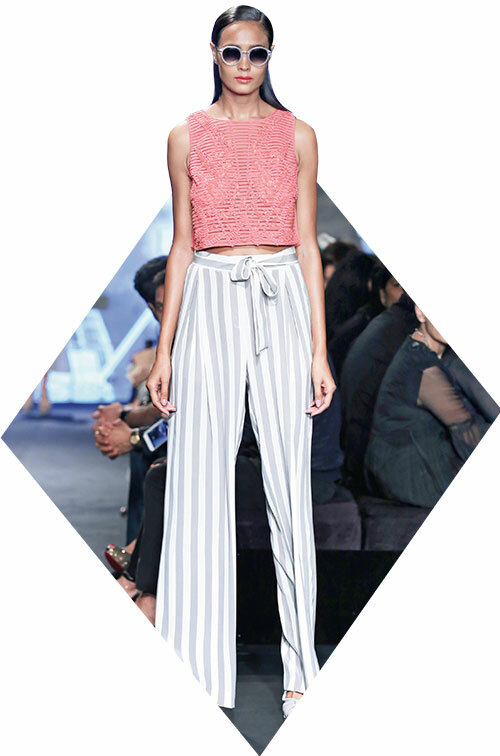 This season isn’t just for style lovers…it promises to convert even the most fashion-wary. 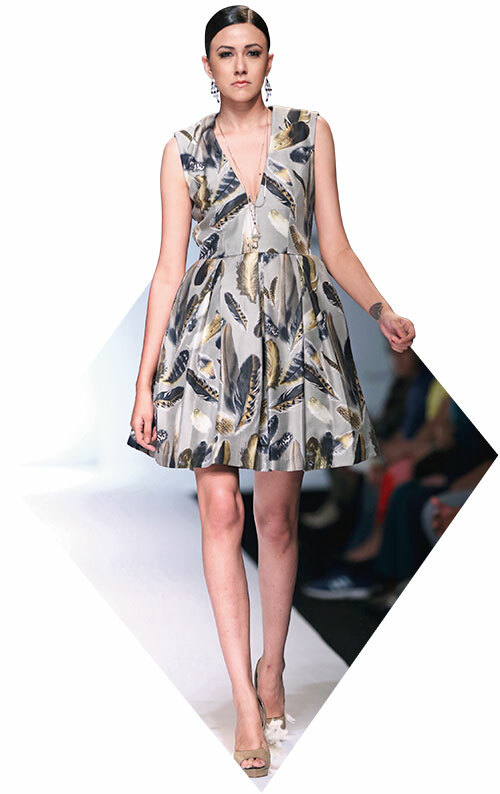 Taking a step back from the body cons, OTTs and heavy fabrics, the focus moves to a more self-assured look. 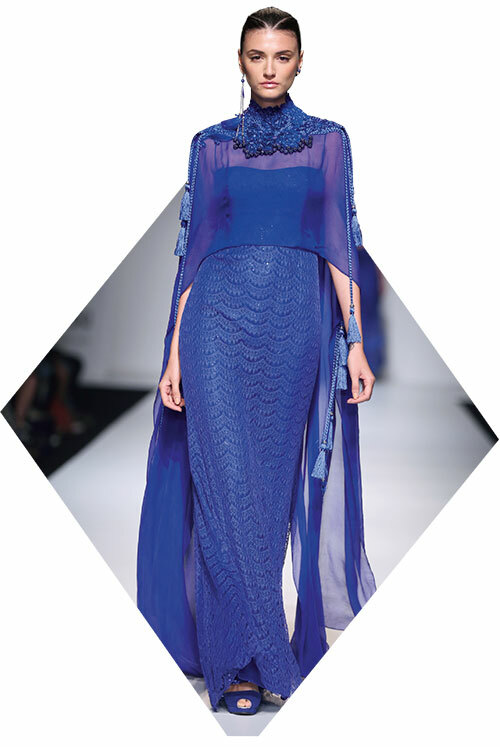 Peekaboo fabrics, cutwork dresses and monochromatic pairings are here to give you an ocean of inspiration. 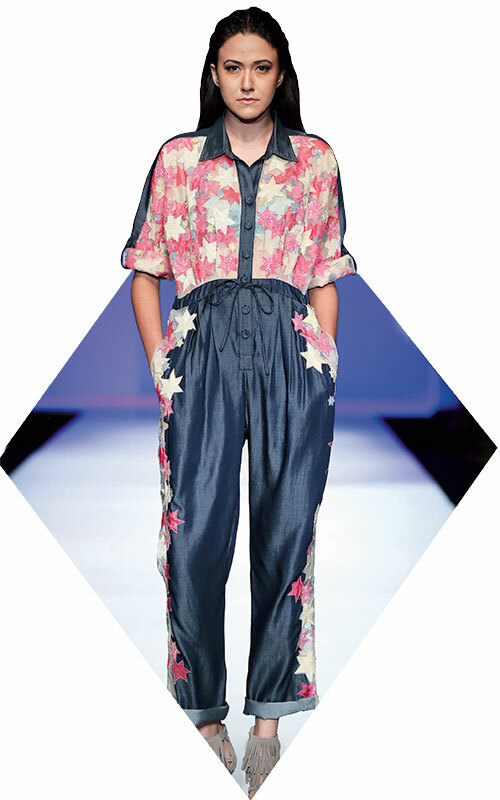 Jumpsuits, subtle shimmer and smart layering create lasting impressions while a very controlled use of flower power will take your sartorial game to new heights. 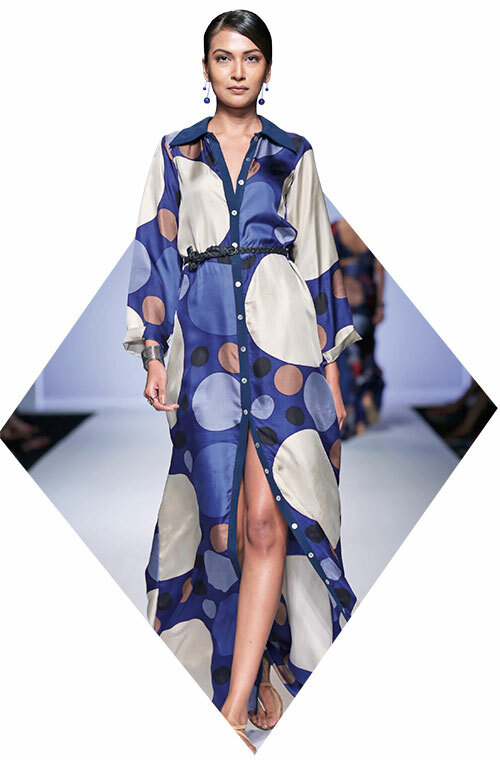 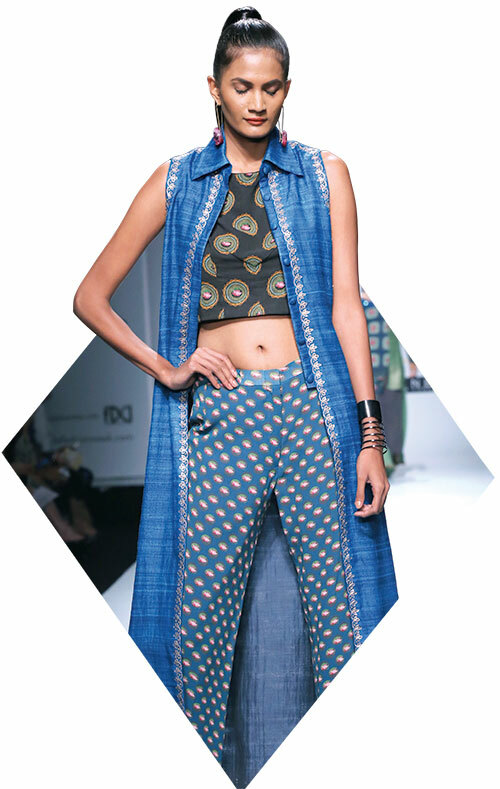 Whether it is Sanjay Garg’s tribute to the Mashru textile or Ritu Kumar’s ode to Benarasi fabrics, both young and veteran designers are making sure that textiles are having their time in the sun. 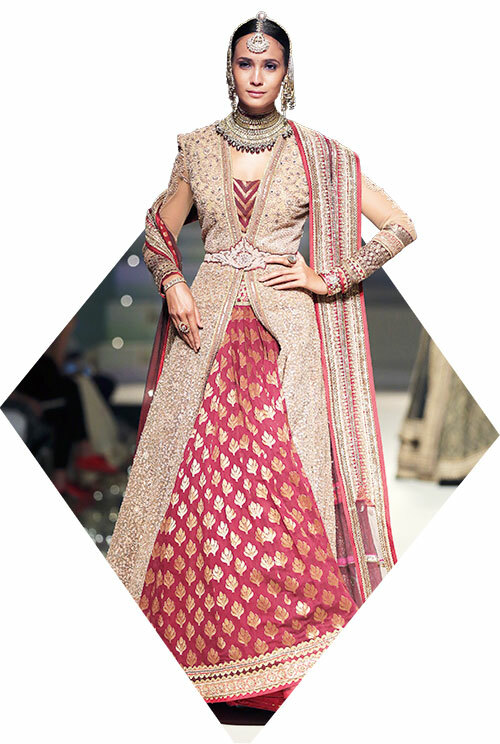 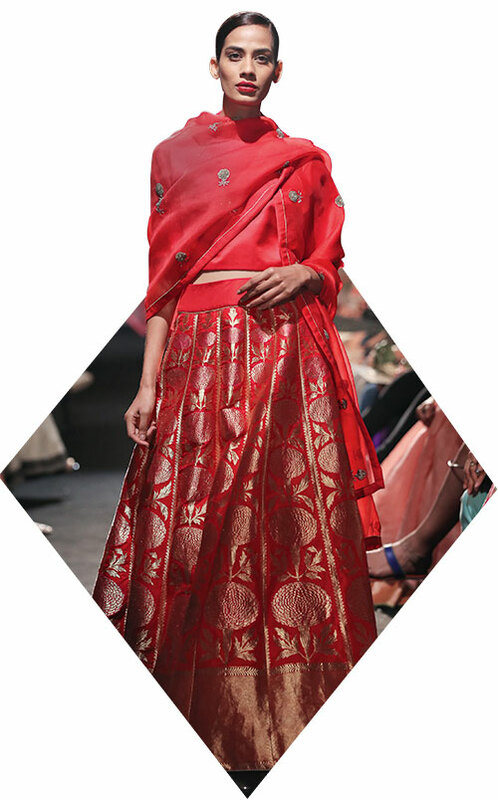 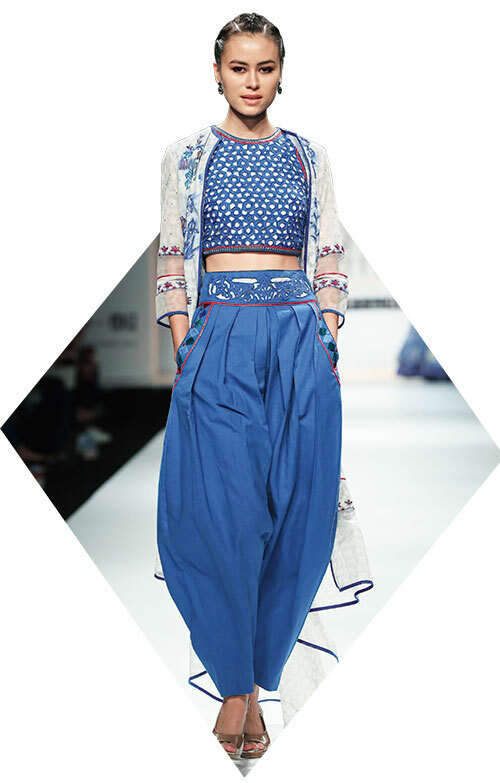 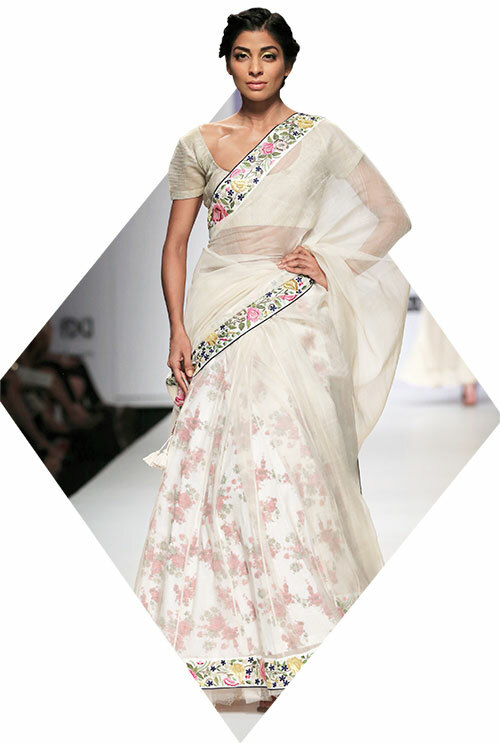 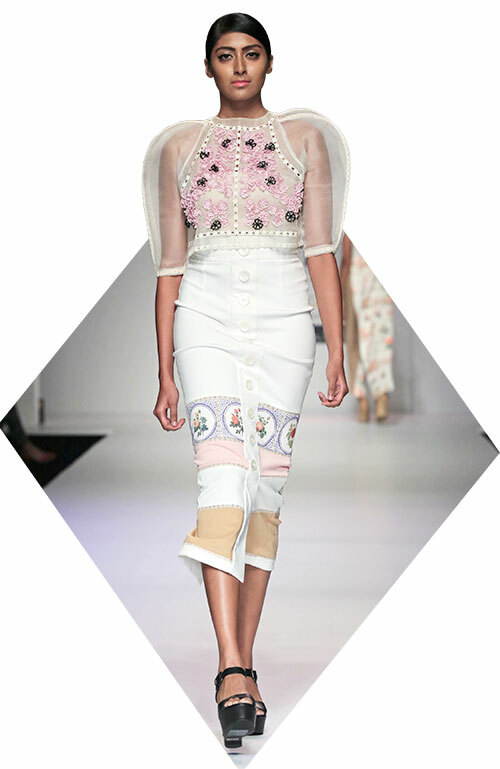 What was limited to the bridal trousseau or traditional events has now been translated to eccentric fusion wear. 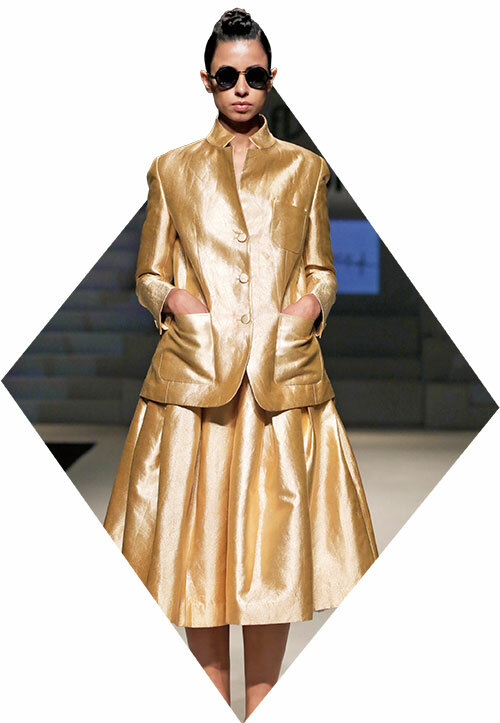 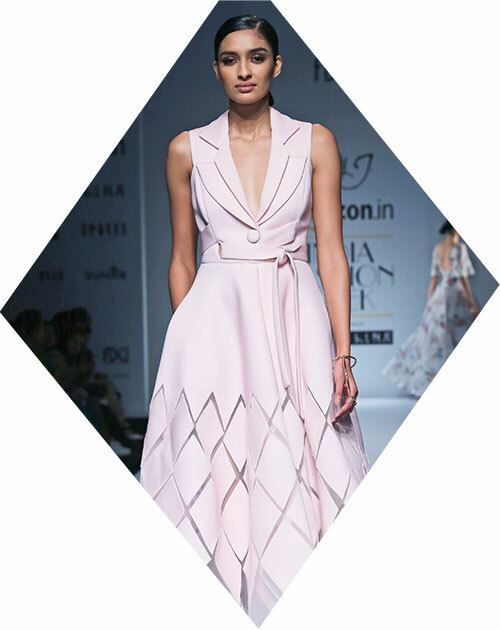 Right from Rajesh Pratap Singh’s skirt suits to Rohit Gandhi + Rahul Khanna’s asymmetrical designs to Tarun Tahiliani’s larger-than-life lehngas, there’s more here than you would wish for. 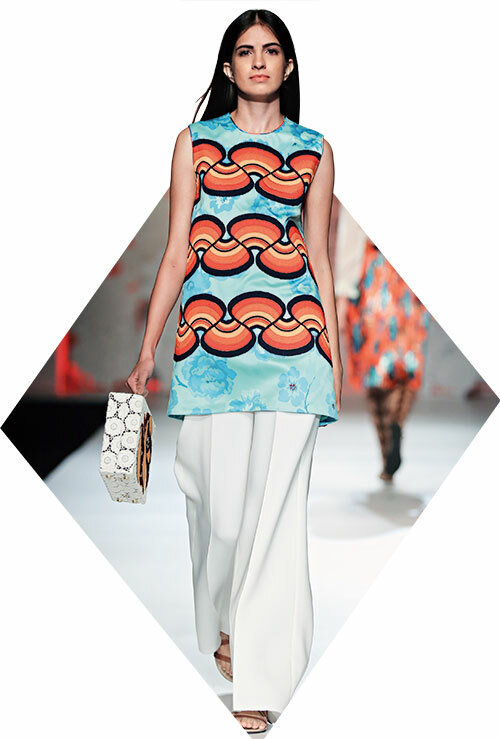 More designers are steering clear of heavy dresses and over-the-top pieces, and veering towards more wearable fashion. 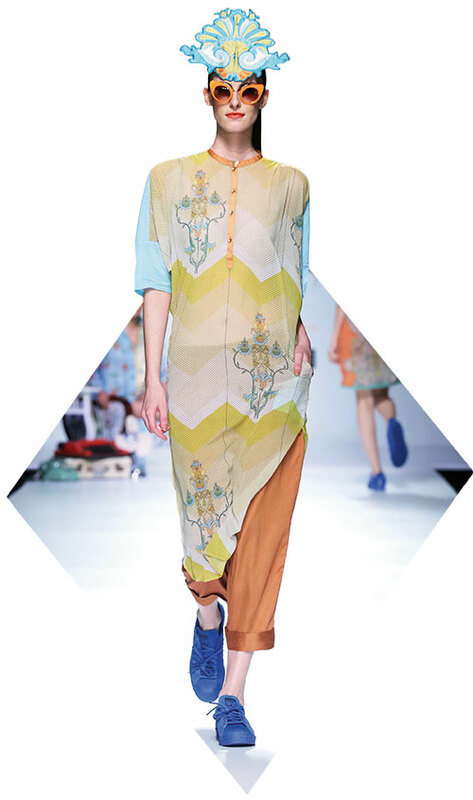 This time, it’s the humble pyjama that has gone through a transformation. 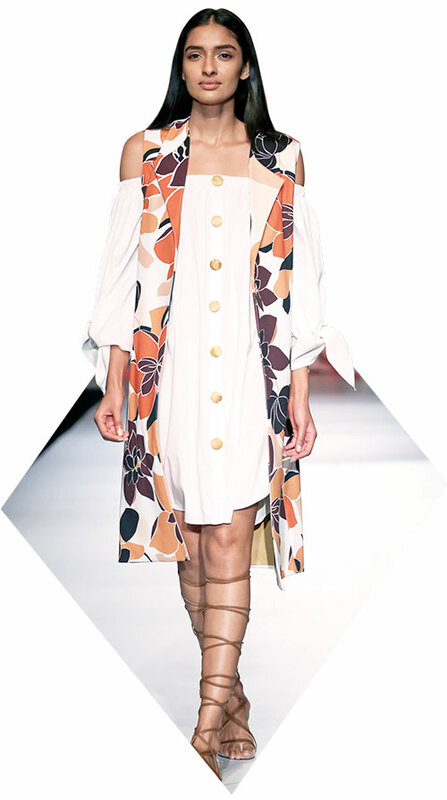 Modern cuts in rich materials — floral prints, stripes and graphics are our picks — make these perfect for those sultry summer evenings. 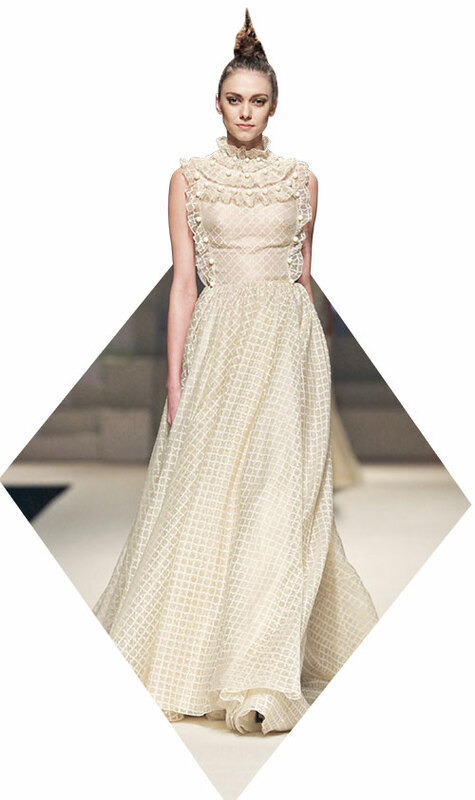 Chiffons, georgettes and tulles floated down the runway lending sophistication to summer evenings. 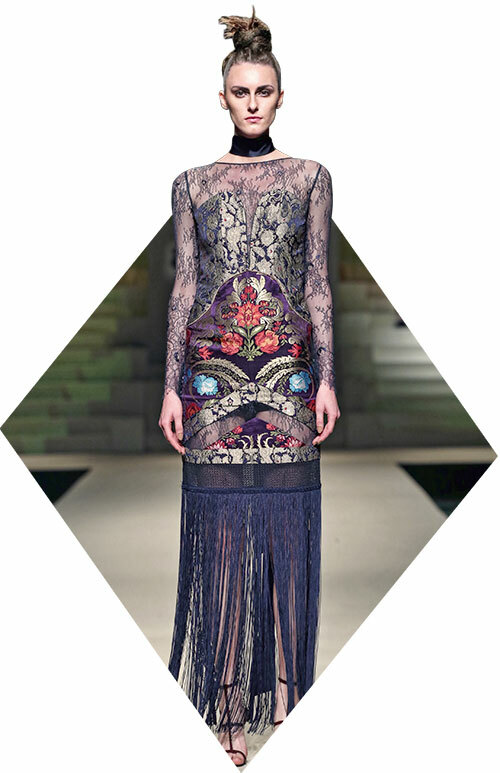 This is about mixing layers of transparency to add a sense of mystery to the trend. 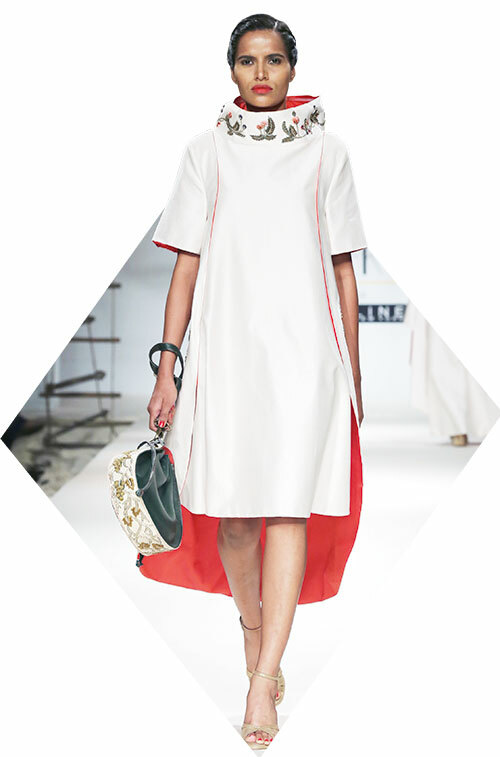 Layer your neutral sheers and match with clean sandals to complete your look and add to the sassiness. 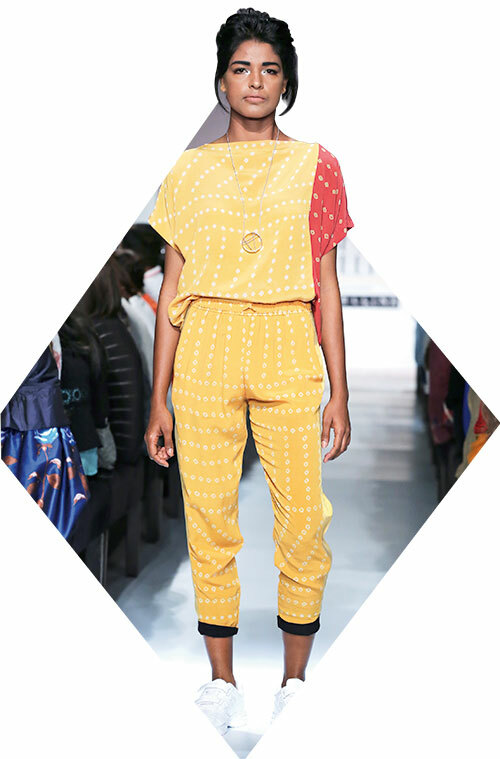 It’s time for the ultimate favourite of the season. 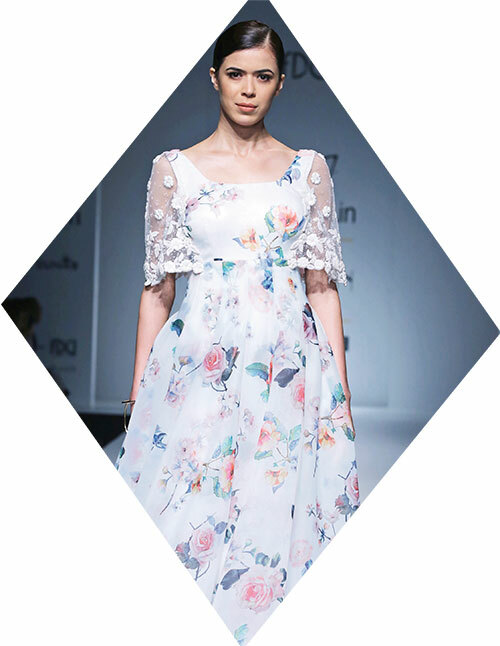 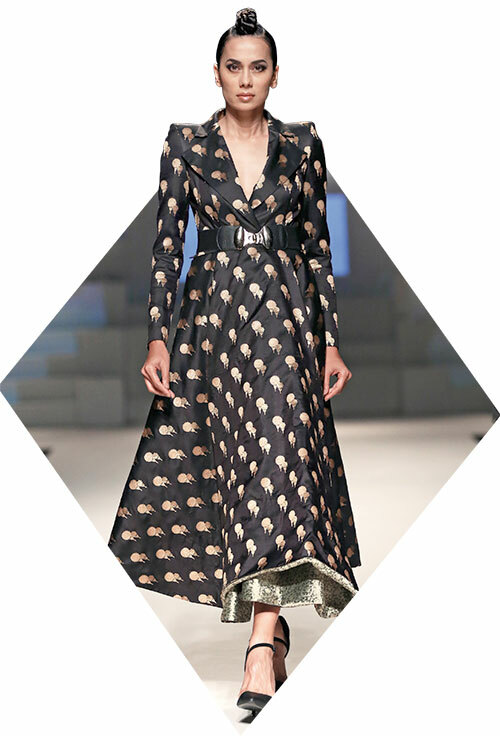 A flock of frilly, frothy dresses from designers like Payal Jain, Namrata Joshipura and Anamika Khanna sashayed down the runway, exuding a relaxed charm. 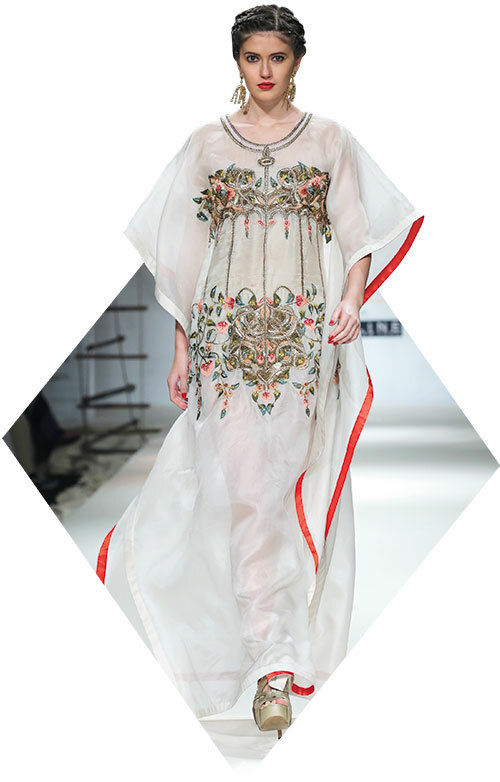 These diaphanous looks channelled every bit of that fallen-angel vibe. 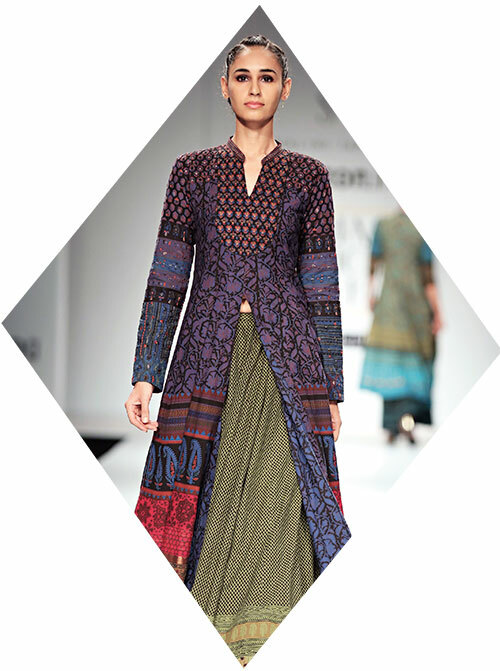 The cold may soon be leaving but the colours of winter remain — shades of charcoal have taken over the runways. 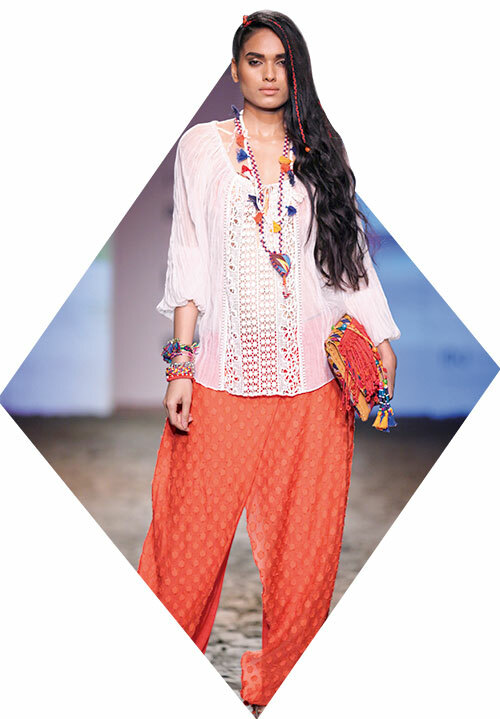 Best way to don this style is tone-on-tone. 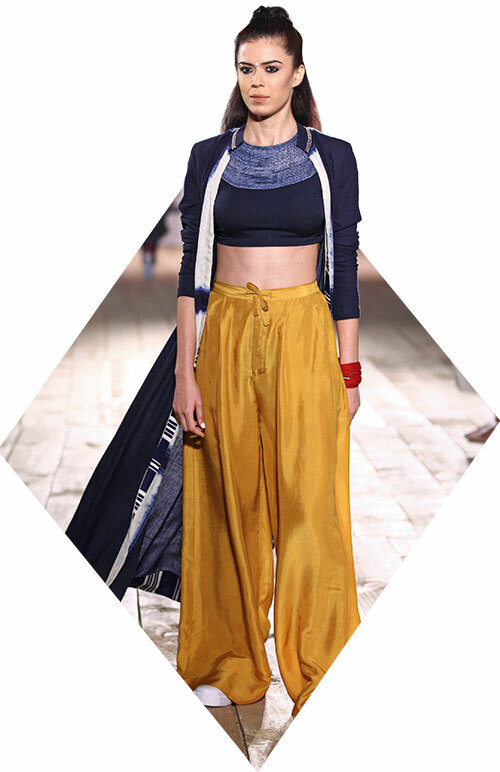 Patched denims and macramé vests aside, there are other choices for those serenading the bohemian aesthetic which has moved onto the more formal evening-wear space, where it is changing notions with neo silhouettes and pairings. 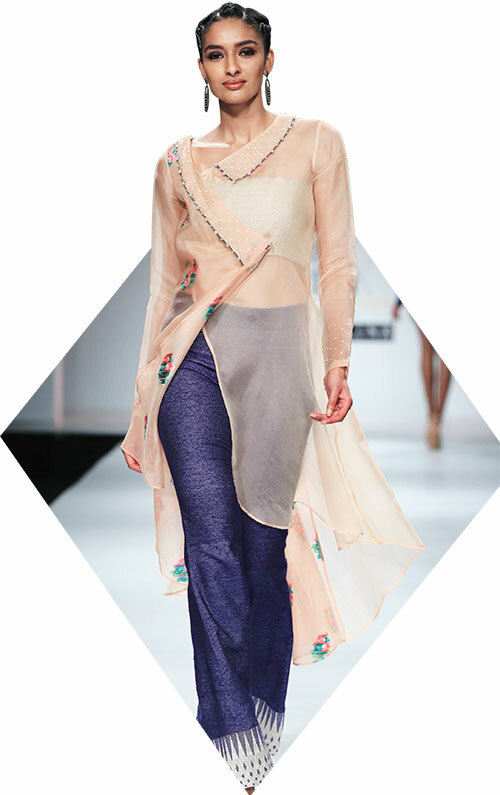 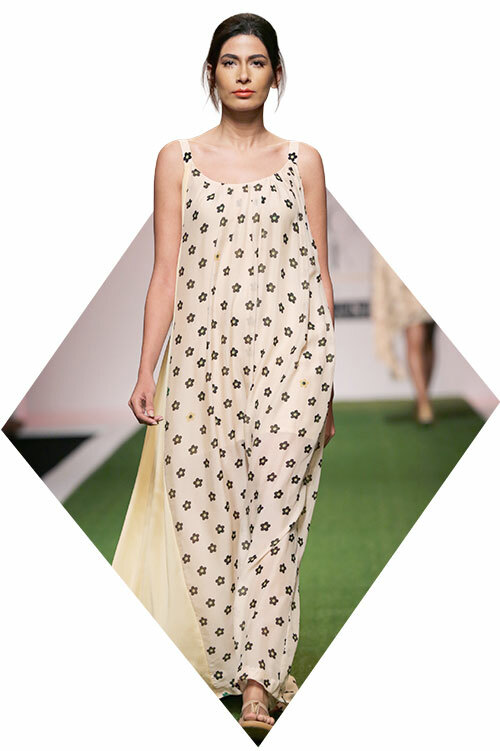 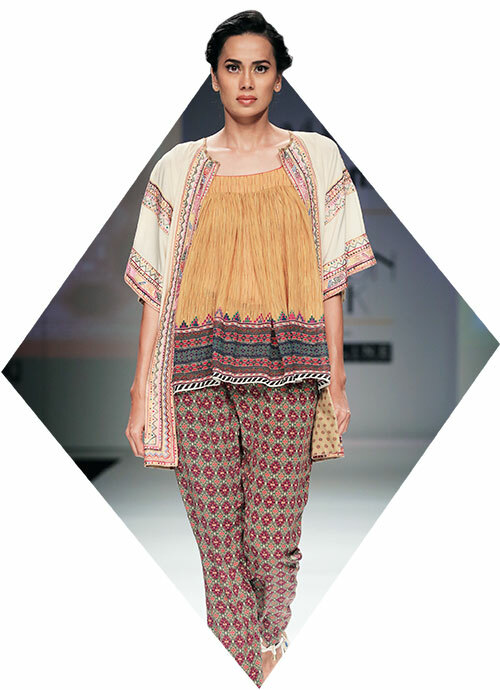 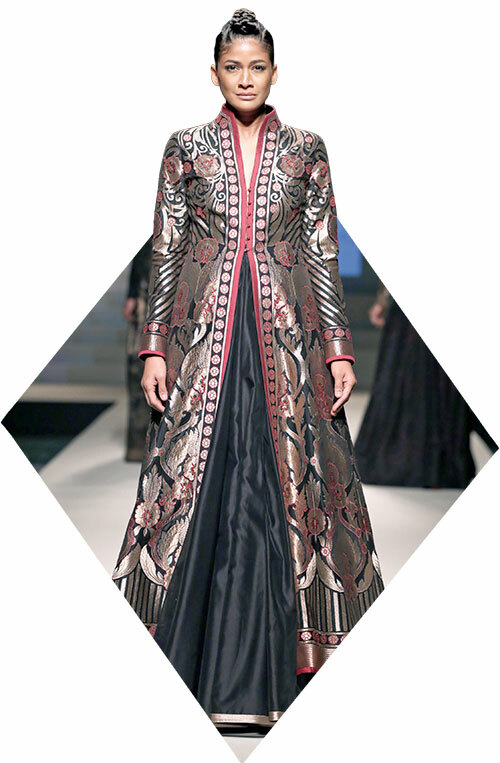 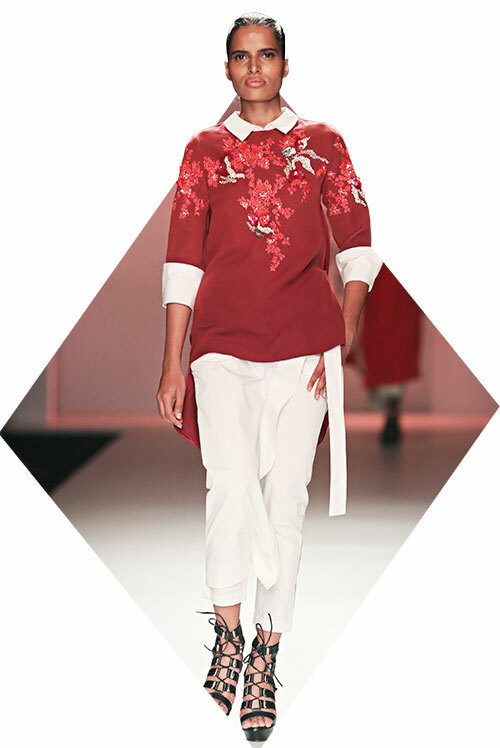 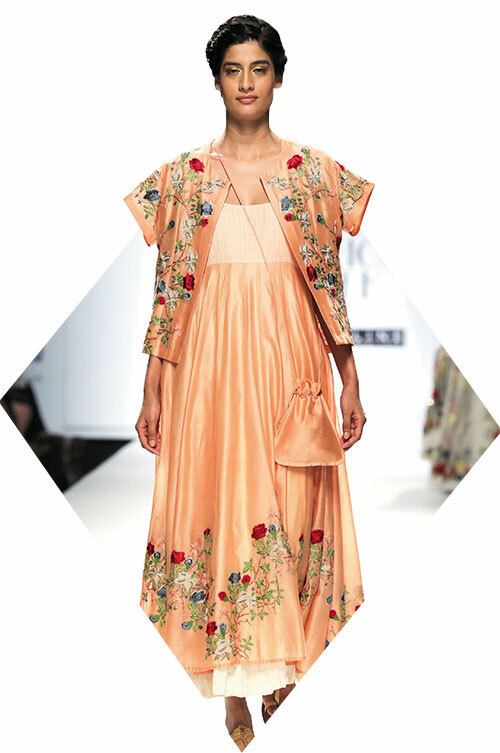 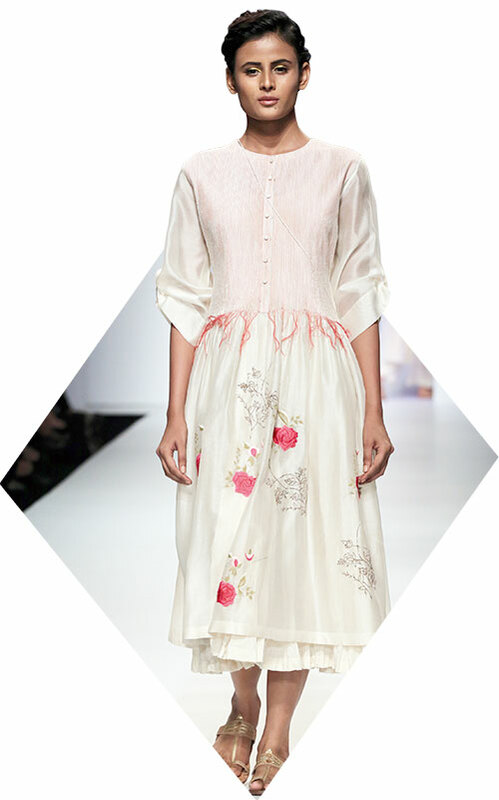 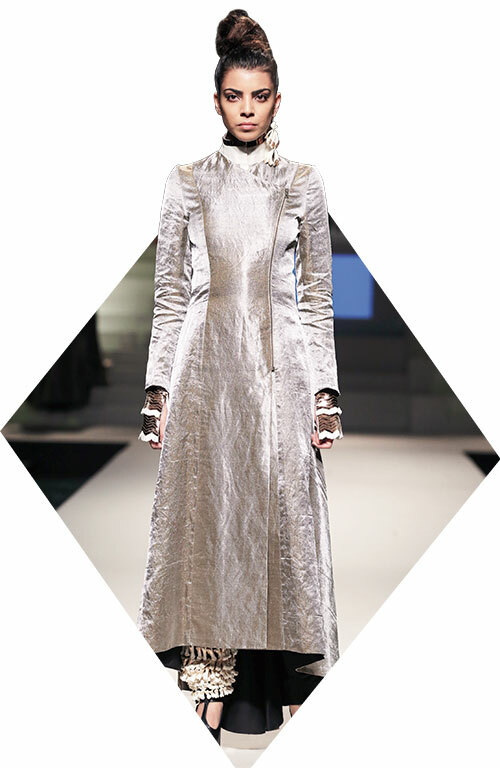 When Anamika Khanna dressed her models in long light kurtas and sneakers, sports luxe became the buzzword for the season. 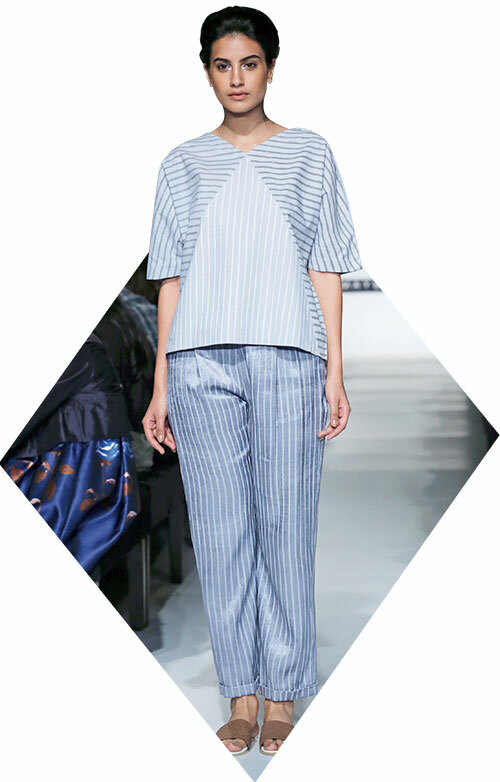 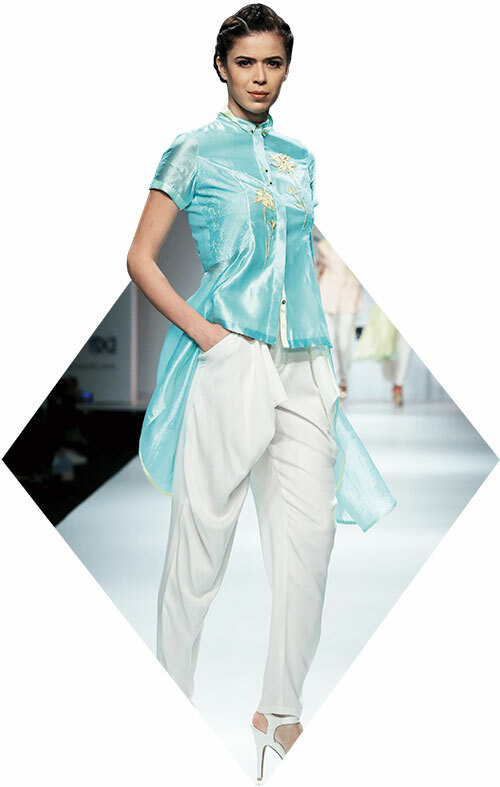 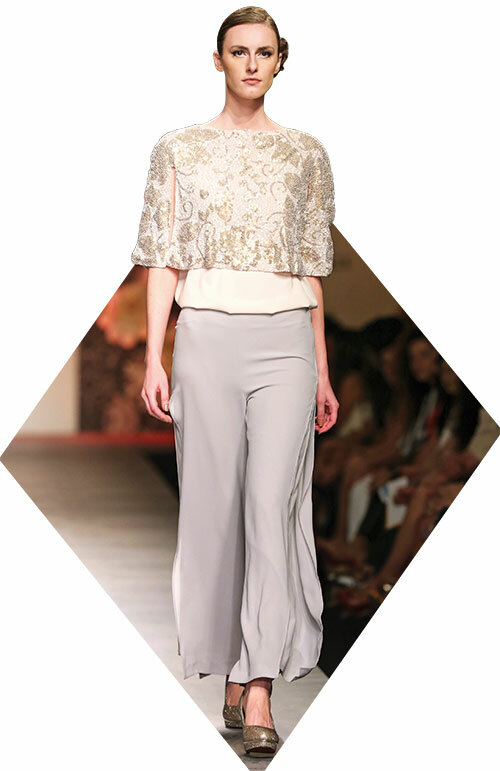 Fluid silky blouses and pants with contrast piping are the best way to celebrate soirées this time of the year.